VISIT OUR NEW LOCATION IN THE TULSA AREA! Experience the freedom of the open road and make memories that last a lifetime in your camper from Tulsa RV! Tulsa RV is Tulsa’s #1 new and pre-loved RV dealer. 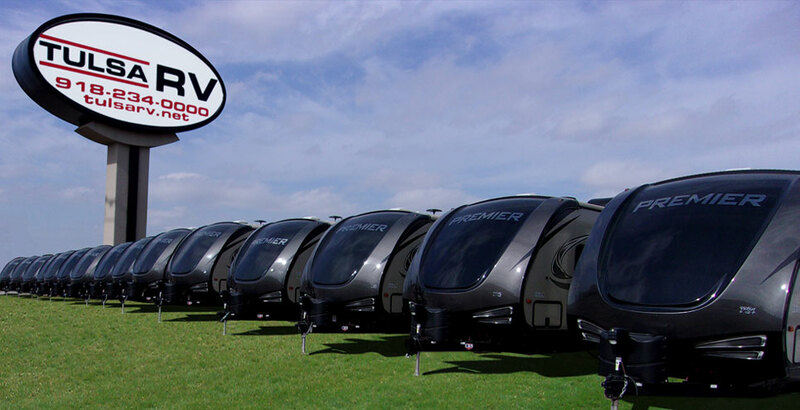 Our huge inventory allows you to choose from a large variety of travel trailers, fifth wheels, toy haulers, and motorhomes. Are you ready to go camping in style? 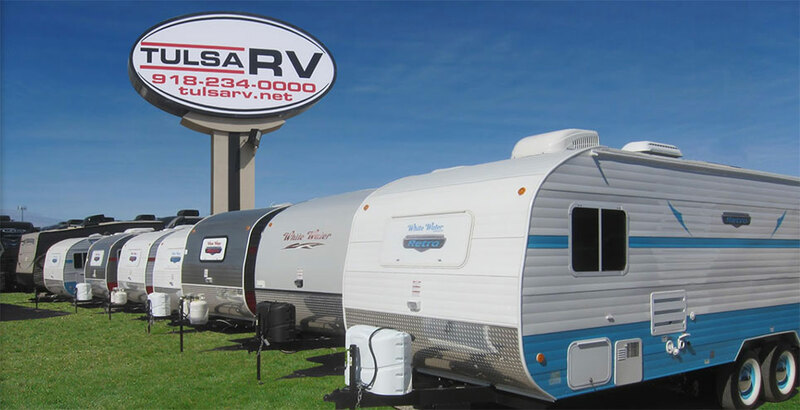 Tulsa RV has you covered with a wide selection of top lines like Coachmen, Redwood, Cruiser, Laredo, Bullet Premier, Fuzion, Hideout, Road Warrior, Viking, Zinger, Apex, and more from Keystone and Forest River! From small to large, from lite and budget-friendly to spacious and luxurious, we can tailor your RV to suit your needs perfectly, and competitive financing is available! Already an RV owner interested in selling your pre-loved unit? Let US go to work for YOU with our sales consignment program! And that’s not all! In addition to our new and pre-loved RVs, we also have a full parts and service department! Call us today at (918) 234-0000 or pay us a visit! Come to Tulsa RV for our low-price guarantee! We have an expert technical team with over 60 years of combined experience servicing motorhomes, travel trailers, toy haulers, and fifth wheels. Your RV deserves only the best quality service delivered by fellow admirers of the RV lifestyle who will go above and beyond to get you back on the road in no time! Regardless of the nature of your service request or the brand, model, or size of your RV, our team has the experience and knowledge to get your RV fixed up. At Tulsa RV, we make sure that you have peace of mind with consistent updates delivered to you via your preferred method of communication. So, rest assured, knowing that your RV is in good hands! Our service requests include the following, among many others: appliances; awning repair; body work; detailing; electrical systems; flooring & repairs; full body painting; generator service and repair; glass repair; heating, ventilation & air conditioning; oil change; remodel; roof repair & replacement; satellites; televisions; thermostats; tires; washer/dryer hookups & venting; and winterizing. Tulsa RV is a family-operated business in East Tulsa, Oklahoma, owned by husband and wife who are avid RV enthusiasts blessed to have an opportunity to spread the joys of an RV lifestyle. Our main goal is to help our customers buy the RV of their dreams, free from the pressures often found in the world of sales. At Tulsa RV, we believe in providing you with an extraordinary experience that is unlike anything you have encountered before. We focus on what is right for you and help you find the perfect RV at your own pace. While some dealerships look at their customers in terms of sales, we see them as our friends and strive to build lasting relationships for many years to come. At Tulsa RV, our main goal is to earn the privilege of becoming your trusted RV dealership of choice!